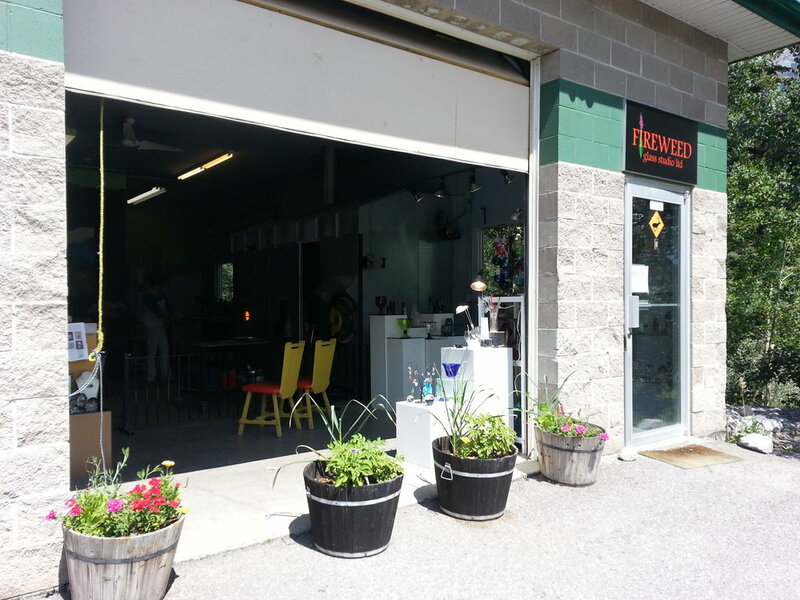 Visitors are invited to watch molten glass being transformed into beautiful works of art at this working studio, as well as browse a selection of locally made art glass for sale. A unique shopping experience. BETH WOOLLEY MONOD, AND NICOLE TREMBLAY. In 2013 a group of four Alberta glass artists, Nicole Tremblay, Barbara Rumberger, Elisabeth Woolley Monod and Deanna McGillivray, combined their resources to purchase The Hot Glass Studio from Susan Gottselig and create Fireweed Glass Studio, ltd. It is a working studio that supports the individual art practices of its four owners. Sign up with your email address to receive studio news and updates from Fireweed. We respect your privacy. We will not share any email address with outside sources. Contact us at anytime if you wish to unsubscribe. Visitors are welcome to drop in any day between 11am-4pm. Shop in the small gallery at the front of the studio and if one of us is blowing glass you are welcome to watch.